Close to airport, city center and Bella Center - 7 beds - Danish architecture! Newly Built Townhouse - 4 bedrooms sleep 7 guests. All new and modern Danish! This is our beautiful newly built townhouse - it's our home and we love to share it with traveling families or business people from around the world. 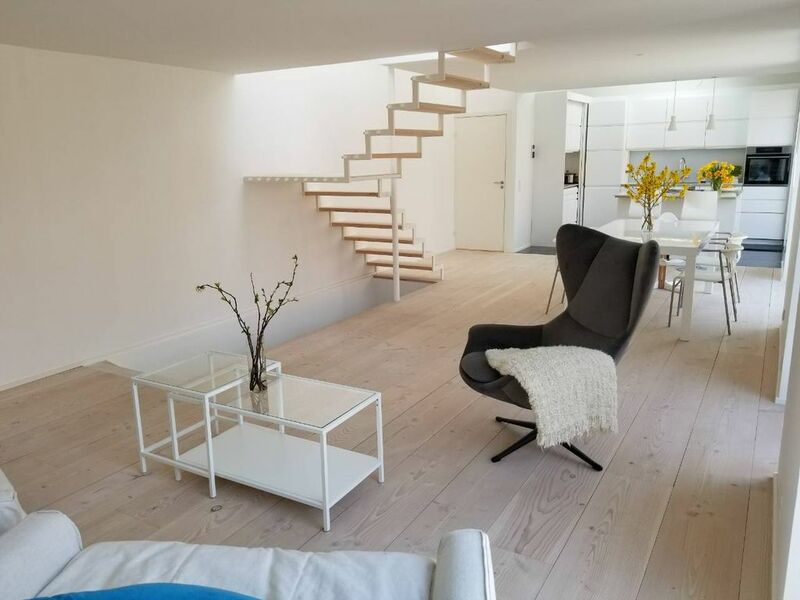 We built it using the best materials available such as Dinesen Douglas wood floors, Italian marble tile in the kitchen, floor heating throughout the house and many other details. The house is originally an industrial building from 1923, it was redesigned by an Architect in 2017 and completely renovated in 2018. The house is located in a back yard so it is private and security is very high - although this area is relatively safe considering it is only 10 minutes from the center of Copenhagen. There are restaurants and cafes within 2 minutes walk, a day spa right around the corner and if you want to take a walk by the water then the biggest beach in Copenhagen (Amager Strandpark) is a 5 minutes drive away. Other things close by is the Bella Center congress center which is 8 minutes drive, Rådhuspladsen, and the walking street - 12 minutes drive away, Tivoli is 11 minutes away and the airport is also around 10 minutes from here - which means this house is right tussen de luchthaven en de binnenstad. The basement bathroom has a nice bathtup, ground floor bathroom has a shower and the toilet on the first floor is a guest bathroom with no bath. Great for family or business travel. Close to everything yet private and a lovely home.